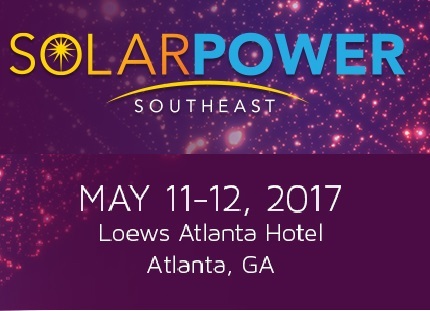 Ecolibrium Solar, Inc., a racking solution provider leading the way in solar mounting innovations, is attending Solar Power Southeast at Loews Atlanta Hotel in Atlanta, Georgia, May 11-12. The company is pleased to join forces with the WESCO Renewables team to share fast and simple solar solutions for residential and commercial racking, including EcoX Rail-less and EcoFoot2+ Ballasted Racking. “With the strong interest in solar energy in the southeastern states, we’re eager to share racking innovations that make solar installations much easier and faster,” says Sam Veague, Chief Operating Officer of Ecolibrium Solar. Due to the growth of solar in the southeastern United States, Solar Power Southeast has become the premier solar event in the region with more than 300 companies expected to attend. Learn more about this product and more from Ecolibrium Solar and WESCO at the WESCO Renewables booth #40. For more information, visit www.ecolibriumsolar.com.